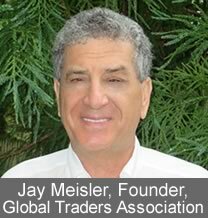 I am Jay Meisler and have been involved in the foreign exchange market for a long time, including the retail forex industry since its inception. The industry has been good to me and I would like to give something back. In this regard, I have formed the Global Traders Association (GTA), an organization designed to advocate for the global trader. All traders are entitled to a level playing field, both from their brokers and regulators. With traders scattered across the globe trading with brokers, both regulated and non-regulated, there is a need for an organization that will work on their behalf. GTA is an organization created for this purpose. Our Mission Statement: The Global Traders Association is committed to providing traders of all levels of experience with information, education, networking opportunities, and an organization that can advocate for their benefit. The purpose of GTA is to provide traders with support from an association that is on their side. As GTA membership grows, its leverage and influence with individual brokers and regulatory authorities will grow. This will give traders a strong voice through GTA as it strives to work on their behalf. I urge you to join GTA to support our effort and get access to our many benefits. Membership is free. Join now!